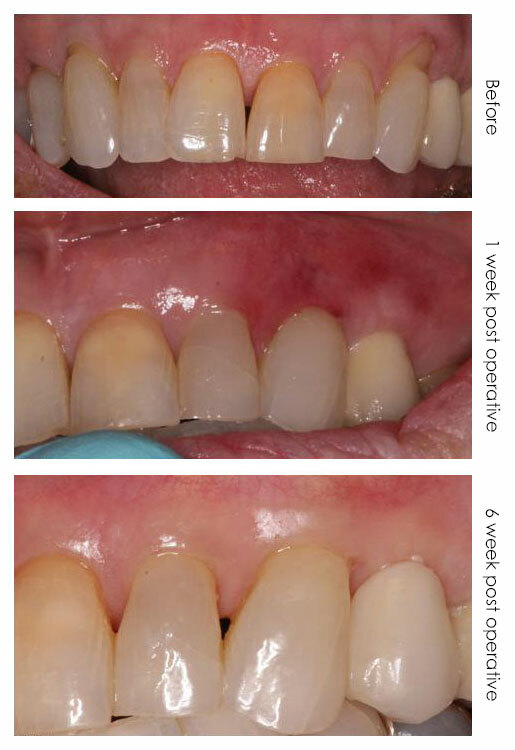 The pinhole gum rejuvenation technique is a scalpel-free, suture-free procedure for correcting gum recession. Through a small hole made by a needle, Dr. Baumann uses specially designed instruments to gently loosen the gum tissue and reposition it over the area of recession. Since there is no incisions or stitching patients can expect minimal post-op complications and enjoy instant cosmetic improvement. Dr. Baumann was trained directly by the inventor of the procedure, Dr. John Chao.